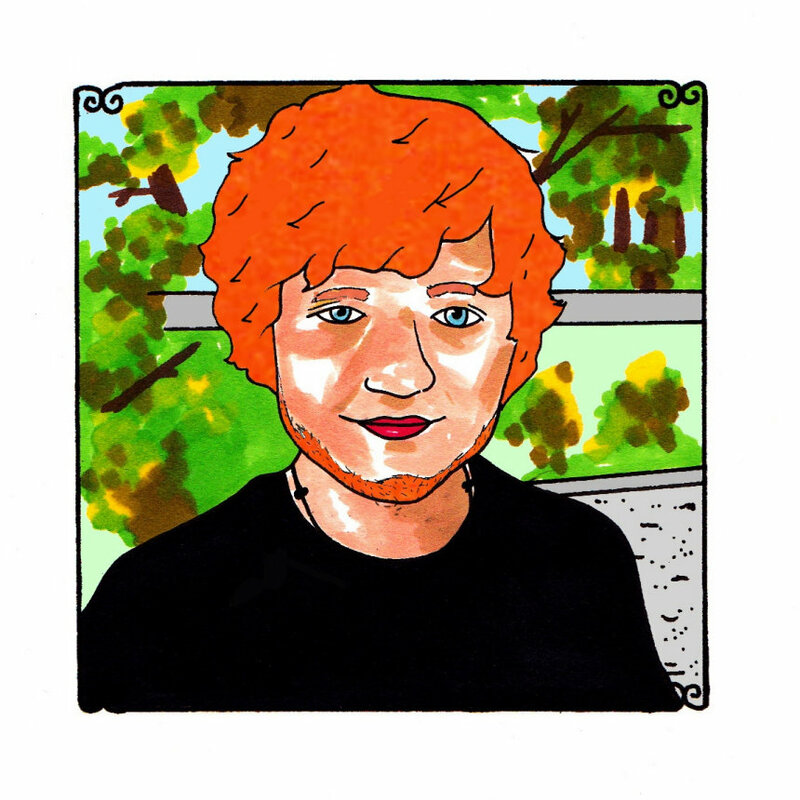 The way that you'd prefer to hear Ed Sheeran is the way he was recorded here, when we had him by during last year's South By Southwest festival in Austin, Texas. It was a late afternoon affair, with the coolness of a dusk setting in on he day. The madness of the city was focused elsewhere in a city already burnt out on free tacos and beer for the fifth day in-a-row. Sheeran showed up early, in his big sneakers and shorts and hung out on the porch as Nada Surf finished off their acoustic session. The studio we used that week is a one-story house that's been repurposed as a recording studio, with the living room set up as the live room, the dining room set up as the control room and the bedrooms wired for isolation rooms, if needed. The wooden floors and beams make everything feel comfortable and intimate - the setting that Sheeran used to be no stranger to. You can just imagine that nearly all of the songs on his US debut were written in rooms like this one, where the warmth and loneliness are what you make of them. There are echoes and ghosts roaming around invisibly, but they're able to be felt. It's in rooms like these where the voices in one's head are most present, when they're not only the loudest, but they're the most convincing. They're mean, disappointed and encouraging, all at the same time. These are the kinds of rooms in which the English singer and songwriter might have nervously performed these songs for the first time, to the person he wrote them for, with that hopeful, but breaking or swelling heart. They might have been written knowing that he was all in, that he was going to put it all on the table and bet on love - this love, the one that he thought was there, the one that he was hoping this would become with just a little more effort and wishing. You can hear it in every ounce of these songs - this hot-blooded NEED for this love to be obtained. It doesn't feel like a want or a panting desire, but something that's absolutely needed, or who knows what might happen. It's in quaint and quiet rooms like these where the nuances of the feelings in these songs are most striking, when they can be felt the greatest. It's when they hit the heart and the guts. One could say that they're inoffensive love songs, so simple in message that they could be forgotten easily, but if you hear them in a quiet room like this one, it's hard to deny them their intensity. It's hard to deny Sheeran his intensity.